In 1885, Osler described the infected peripheral aneurysms, resulting from endocarditis embolism for the first time. 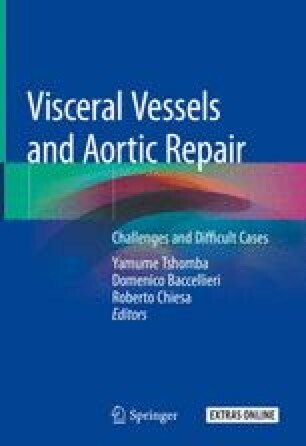 Over the years, many authors have reported different classification and pathophysiological mechanisms of infected aortic aneurysms. Those conditions are rare and aneurysms involving visceral arteries even more so. Due to the disease rarity, evidence to confirm the best medical, surgical, or endovascular treatment is lacking. The aim of this chapter is to report current scientific literature, particularly regarding treatment and related results.